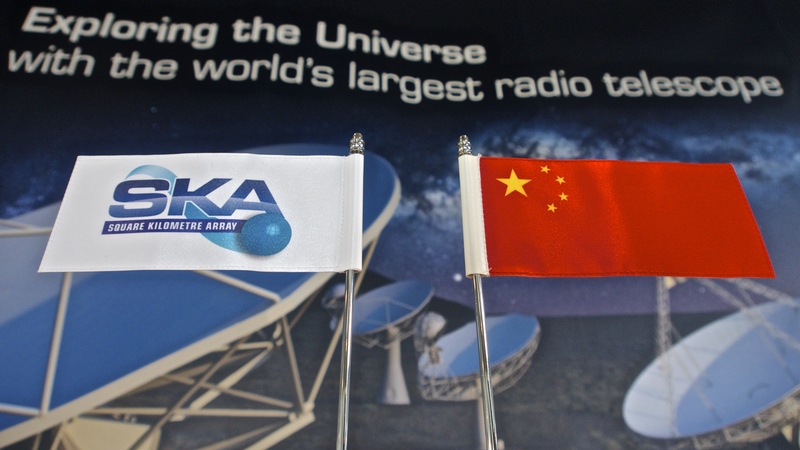 Tuesday 22 September 2015, SKA Organisation Headquarters, UK – The Chinese government has entered a new phase of involvement in the Square Kilometre Array (SKA) project as it signs the SKA Letter of Intent (LoI). 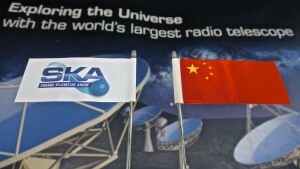 The signing of the LoI marks China’s intention to enter formal negotiations with other SKA member nations. The negotiations are aimed at developing an intergovernmental agreement to establish the SKA Observatory and defining their contribution to the construction of Phase 1 of the SKA telescope. The SKA radio telescope, to be built in Australia and in Africa, will be the largest radio telescope in the world and will be constructed in two phases, the first phase representing about 10% of the full project. 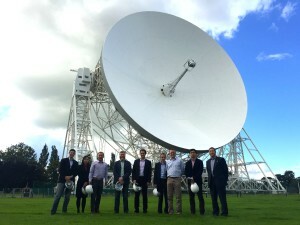 SKA Organisation, headquartered near Manchester, UK and whose current legal status is that of a UK private company, is in the process of establishing itself as an inter-governmental organisation or IGO – similar to CERN or ESO – to formalise the relationship between the project and its members. Chinese audiences can now find out about the SKA in Chinese on the Chinese SKA mini-site. SKA Organisation hosted a Chinese media visit with Xinhua news agency, CCTV and Science & Technology Daily to announce the signature of the Letter of Intent. Posing here with Jodrell Bank’s Lovell Telescope in the background.